I am excited to announce that I have been elected as a member of the Washington State Bar Associations Board of Governors. As you may know, voting ended on April 1 in the WSBA Board of Governors district elections. Candidate Bryn Peterson received the most votes in District 9 and has been declared the winner. He will take his seat on the board, replacing Dan W. Bridges, at the end of September. Please join us in congratulating Bryn. 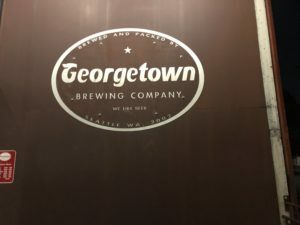 Who says that being a Beer Law Attorney for the State of Washington is not fun. It was wonderful to be with friends to enjoy this wonderful beer festival. 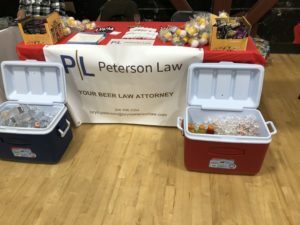 Great to be a sponsor for this beer festival. Fun was had by all! When Should a Business Owner Consult with a Corporate Lawyer? For anyone that runs a business, one of their greatest fears is probably their business getting into a legal problem. This is because no matter how careful one is, there is always a possibility that one bad decision could create a legal problem for your business. Getting involved in a lawsuit could potentially cost a business thousands of dollars. For small businesses, there are enough business problems without being worried about legal problems. How can a small business protect itself from potential legal problems? One way is to learn how to minimize corporate liability. The other, and the most relevant is to enlist the services of a corporate lawyer. A good business lawyer is one of the most essential assets to help a business through legal problems and lawsuits. The following article will discuss why and when you need a lawyer for your business. The biggest reason why your business needs an attorney is due to the fact that there are hundreds of laws that any commercial operation needs to be aware of and follow. Moreover, every industry has its own specific rules and regulations that need to be adhered to. It is highly unlikely, therefore, that a typical business owner would be aware of all those laws. Additionally, apart from federal laws, your state, city, and county laws can overlap or contradict with each other at times. As such, business laws rarely stay constant. This continuous evolution, albeit in small and subtle ways, means that your business can become out of compliance even if you have not changed your operations. These changes are usually done to accommodate the ever-changing market environment and economy. Any business owner will find it impossible to keep track of these changes and still handle their business. This is why a business lawyer is so essential. Their job is to keep up with the changes in the legal environment. This ensures that your business remains in compliance to avoid fines, penalties, or even imprisonment. During the inception of a business, you will absolutely need the legal counsel of a corporate lawyer as you determine the kind of business you want and why. A new business can be a sole-proprietorship, a partnership or a corporation. Each of these types of businesses has a unique structure as well as inherent tax implications. As a result, it is very prudent to have a business lawyer guide you through this process. You actually need them before you submit the paperwork for business formation to ensure that your preferred structure meets both your short term as well as long term goals in addition to being in compliance with the relevant laws. When looking to get into a partnership with someone, your only hope is that they will act in good faith, while honoring their fiduciary duties to the business. 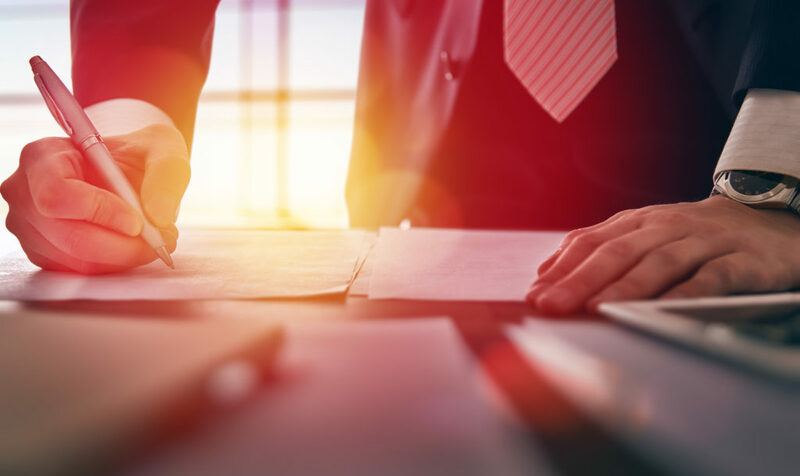 Typically, to ensure that both partners honor their obligations, savvy business people usually have a business lawyer draft a partnership agreement to be executed by both parties. The purpose of the agreement is to distinctly lay out each partner’s expectation of the other party. Additionally, the specific responsibilities and duties that each partner is supposed to carry out may also be included in the agreement. The importance of this agreement cannot be overstated, since you do not want to enter into a partnership with someone, only to find out that they are a fraud who abandons ship when things get tough. Without the agreement, if one partner acts dishonestly, the other is left with no other option but to pursue litigation. This is likely to be very expensive. A corporate lawyer assists in minimizing that event taking place. It is not uncommon for employees to sue their employers and the organizations they work for when they feel that they have been harmed by the business. For instance, an employee may decide to claim that they are working in a hostile work environment and decide to sue. There are a host of other reasons which might make an employee feel frustrated enough to file a lawsuit against a business. One of the best ways of minimizing the possibility of an employee filing a lawsuit against you is through minimizing their level of dissatisfaction. This can be achieved by exercising proper performance management and inspiring leadership. Nevertheless, no matter what you do, some employees may decide to sue. This is why it is necessary to have a corporate attorney by your side giving you proper advice on how to handle this situation. Moreover, they will ensure you avoid practices that may create such problems. When working with third parties, breaches of contracts may occur at any time. A breach of contract refers to a situation where the third party or the business does not honor the terms of their agreement. The third party may deliver inferior products or fail to deliver at all, while the business may fail to pay as expected. When this happens, the next step is usually to initiate a costly litigation process in court in an attempt to sue for damages. The benefit of having a corporate lawyer is that they can deescalate the situation to ensure that does not happen. Moreover, if your business is the victim, they will do all they can to get the business to pay what is owed. If they do not, the lawyer will know how to handle the situation in court, so that you get paid or minimize your liability. Today, most business operations that usually needed an expert are becoming replaced by software. For example, there are apps and bots that can do the job of an accountant with ease. However, there is no technology that can replace a lawyer. By having a corporate attorney at your side, your business will stay legally protected, so that you minimize costly situations. If you are looking for a business law attorney in Seattle, the Peterson Law Firm has partnered with numerous businesses in Seattle to ensure that their drive for profitability is not compromised by legal issues. Contact us today and we will determine the best solution for your business. 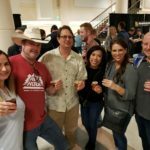 Another great Seattle Beer Festival put on by the Washington Brewers Guild. Very happy to be a sponsor for this event and see a number of current clients at this event! 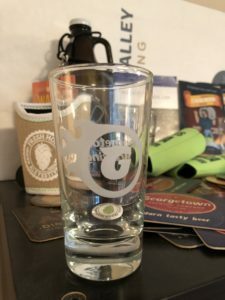 Another great Washington Brewers Guild Meeting that was hosted by the Georgetown Brewing Company. Great meeting, great bear & great brewery!